Rebuild Florida – What to do next? | Insurance Litigation Group, P.A. 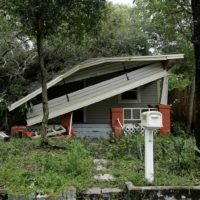 Rebuild Florida – What to do next? Yesterday was the deadline to seek out additional assistance from Rebuild Florida with your Hurricane Irma claim. Rebuild Florida is a program run by the Florida Department of Economic Opportunity in partnership with the U.S. Department of Housing and Urban Development. It was created to help families rebuild homes damaged or destroyed by Hurricane Irma. The Insurance Litigation Group has been busy for more than a year assisting homeowners and businesses with their Hurricane Irma claims and attempting to get them paid appropriately by their insurance companies. Some clients have complained about lowball settlements while others discovered additional damage and are seeking supplemental claims with their Florida Insurance companies. If you are interested in having an experienced claims consultant or insurance attorney review your policy, claim or property, it may not be too late to recover additional monies for your Hurricane Irma Damage.